Norbord enjoys a close relationship with Alex and uses the company’s panel products in his work which typically combines art and architecture in different physically amazing projects. 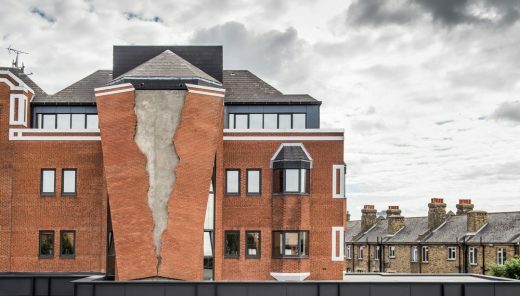 In Margate, he peeled the façade of a four-storey house away from the rest of the building. As the curving bricks, windows and doors slide into the front garden of the property, which has been vacant for eleven years, its upper floor is revealed to the public below. Alex chose the house from a number of properties owned by the council for its character and location. 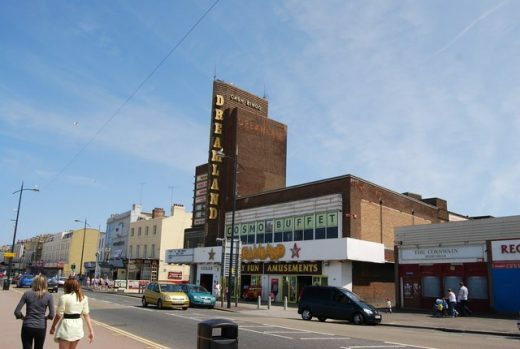 In the short-term, the artwork will attract people to rediscover this historic suburb of Margate (the UK’s original seaside resort) with its growing creative buzz. Sterling OSB, the UK’s leading OSB brand, was used as the main panel product for walls, floors and hoarding in the unique building. This project follows Chinnecks’ acclaimed 2012 installation ‘Telling the truth through false teeth’, in which the artist installed 1248 pieces of glass across the façade of a factory in Hackney to create the illusion that its 312 windows had been identically smashed and cracked. Alex Chinneck is a London based artist and designer: www.alexchinneck.com. He is the founder of The Sculpture House: www.thesculpturehouse.co.uk, a member of the Royal British Society of Sculptors and a graduate of Chelsea College of Art and Design.